Seaside Villas is an oceanfront complex, on the beautiful beaches of Hilton Head Island. Conveniently located on the south end of the island, within walking distance of Coligny Plaza. **Call for Daily Rates & Availability; some restrictions may apply. 3rd Floor villa, completely remodeled villa with a spectacular view of the Ocean. 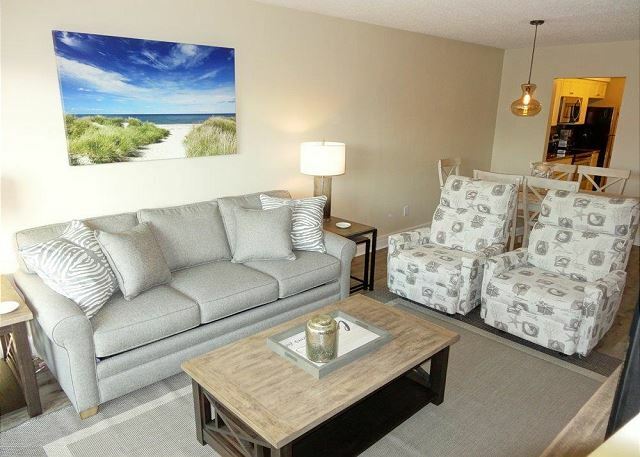 Make Seaside 318 your next vacation escape! This villa does have a 5 night minimum. Seaside Villas is an oceanfront complex, on the beautiful beaches of Hilton Head Island. It is conveniently located on the south end of the island, within walking distance of Coligny Plaza. Two bedroom, Two and half bath quiet beach oasis. Looking to relax and unwind and be in a comfortable setting that provides a spacious layout? Look no farther...Tree Tops 6204 has everything you need to have an enjoyable visit to Hilton Head.